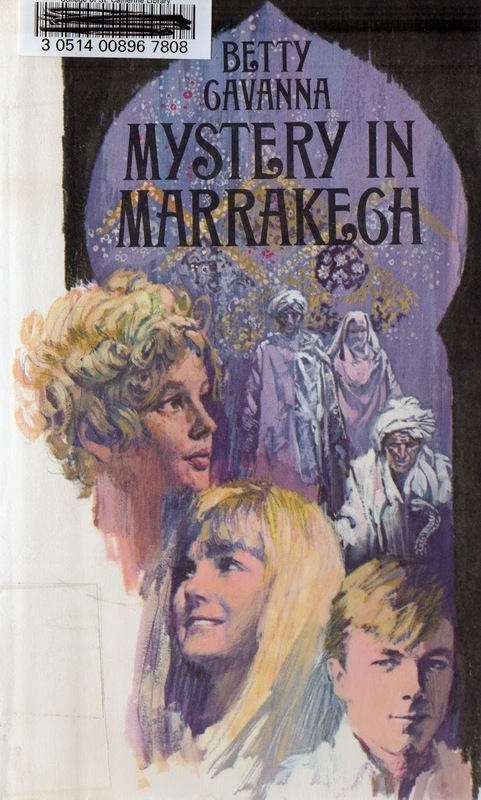 The nine-hundred-year-old city of Marrakech appeared to Dizzy Driscoll very much as she had imagined it. Medieval ramparts and ten great gates. Mosques with green-tiled domes and the wail of the muezzins calling the faithful. Even though she was visiting her roommate's family, Dizzy found her strange surroundings made her feel somewhat apprehensive. Still she was unprepared when her vague fears were fulfilled, and her friend Felicia was spirited away from the city. Together with Rick, Felicia's brother, Dizzy set out on an anxious trip across the rugged Atlas Mountains to find help. Their journey led them finally to the ancient Casbah of Telouet, a cluster of ghostly spires reaching into the sky that seemed to emanate evil like a witch's castle in a fairy tale. What would they find concealed in its deserted 600 rooms?